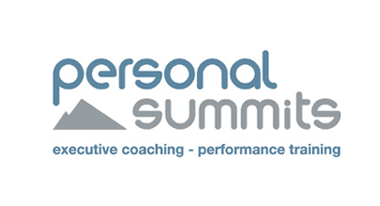 Lifestyle Editor ZOE CHAMBERLAIN from the Sunday Mercury talks to Richard Bisiker of Personal Summits Executive Coaching, based in Penkridge, Staffordshire, about how to give yourself a 'life MOT' to boost your success. Richard says: "People believe they can tweak little things about their lives to make a big difference. But these "little things" will simply come back to the surface and you will probably revert to your old behaviour. What we are comes from our beliefs and values. You have to decide what are your values and beliefs on personal success?" "Look at what you've done in st. Do you get bored in your job and move on every couple of years? Do you like routines? Do you get stressed if your routine is broken? Find out what your style is and begin to understand yourself more and what works for you." 3 BE COMMITTED "Say to yourself that this particular goal is non-negotiable. It means you can negotiate and rationalise everything else but not this goal. You'll find it very empowering." "Work out what's your ideal life. What would you do day-to-day? Where would you go? When I ask my clients to dream of their ideal lives, they find they don't need the flash cars, yachts and swimming pools. That's a bad trap to fall into. It's OK to have material stuff but you don't have to have a bit of everything to be successful. It's about understanding what's important to you and what it would take to make you feel fulfilled and your life enjoyable." "It can be as large or as small as like as long as it's a step Do anything that takes you closer to your goal. This includes saying no to all other opportunities, no matter how wonderful they may seem. Life is full of opportunity - if you chase it all you'll be like a wild horse. See your goal as shooting an arrow at a target. 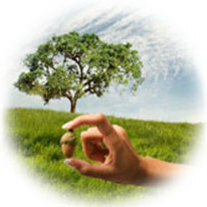 Take actions that take you closer to it and say no to the other stuff." "Get out a sheet of paper and write down everything you have achieved or were successful in. It's the little things that are important. This tool is the most powerful motivation -much more so than any book or seminar as it's all about your own successes, not someone else's ideas or their successes. Keep the list and read it on any off-days you have. You'll think: 'Wow, I've done all that - I can get through this'. We have a tendency to dismiss little successes or compliments we're given and focus on the big to-do list we can't seem to get through." "Read books, go on courses, buy a learning CD. I've been a 16 years but I still spend a lot of money on different courses to give me new ideas and to challenge myself." "But don't leap out of it! A lot of people feel motivated then leap into an unfamiliar new situation they've created. This is mindless optimism to leap without developing the skills needed first. Pace yourself and by all means push yourself, but don't make the leap until you're ready." "Judging by the number of times I've fallen on my face, I should have a flat nose! What you have to remember is it's the journey, not the destination, that's important because ultimately the final destination is six feet under. This is a bit of a wake-up call. When you get to the end of your life, will you be able to say you enjoyed a wonderful journey? Did you stop to take in the view, smell the roses and sip the coffee?" "Get a coach. Most successful business people and have one. A coach helps you to see things that you couldn't see yourself."